The EGOT is an acronym for Emmy, Grammy, Oscar and Tony. Raking an award for all these major award-giving bodies is extremely difficult that only 12 artists have gotten them so far. Winning an EGOT is definitely a testament to the sheer talent of these artists. Let us take a look at 5 of the 12 EGOT winners and what their award-winning pieces were. Rodgers was the first artist to have won an EGOT, even before it was a thing. He was a prolific artist who had his first Emmy for the TV documentary, Winston Churchill: The Valiant Years. It was followed by an Oscar win in 1945 for It Might as Well be Spring of the movie The Valiant Years which won Best song. He also had 2 Grammys on the bag for the original cast recordings of Music in No Strings which he won in 1960 and 1962, respectively. He also had a total of 6 Tony Awards. If an EGOT was not enough, Rodgers also won Pulitzer Prize for Drama. He was truly a remarkable artist with incredible body of work. Without a doubt, Audrey Hepburn was a Hollywood icon whose timeless beauty will always be remembered. Although she made it in this exclusive group of artists, she did not live long enough to enjoy all 4 awards. Two of them were awarded posthumously. In 1993, she won a Grammys for her children’s album, Audrey Hepburn’s Enchanted Tales. 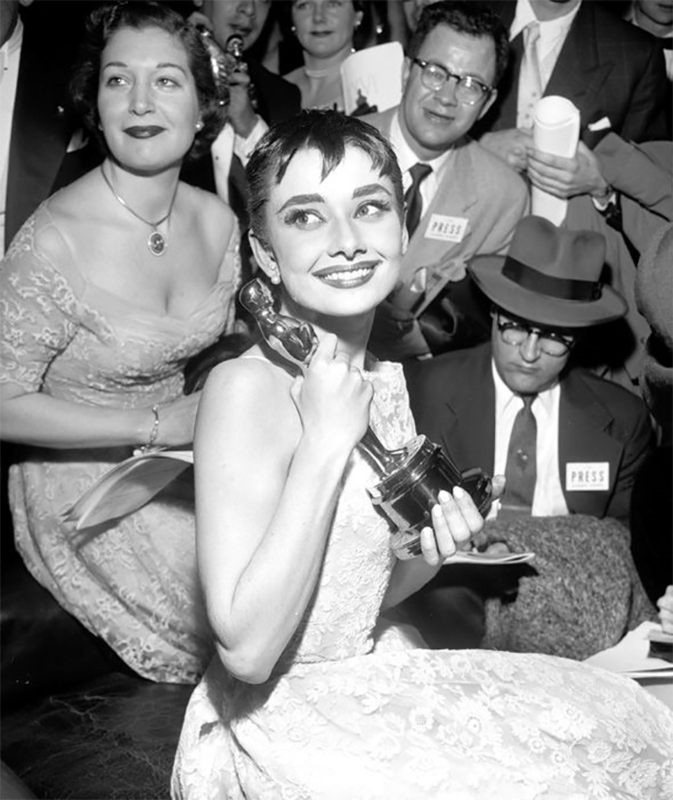 A year before she won the Grammys, she won an Emmy for Gardens of the World with Audrey Hepburn. Her 1953 Oscar win for Roman Holiday was one of the most iconic wins ever, and a year before that, she took home a Tony for Ondine. 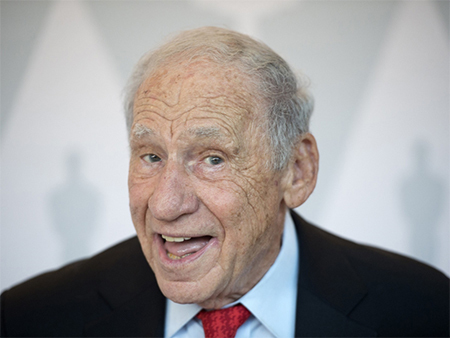 It seems like there is nothing Mel Brooks can’t do. In 2001, he became the 8th person to have won an EGOT, just before turning 75. Completing his EGOT collection were three Tony Awards for Best Musical, Best Book of a Musical and Best Original Score for The Producers. He also won an Oscars for The Producers, but 33 years earlier. His first win was an Emmy in 1967 honoring his excellence in writing. He then continued winning 3 consecutive Emmys starting in 1997 as a guest actor on the sitcom Mad About You. In 1998, he won a Grammy for Best Spoken Comedy Album for The 2000 Year Old Man in the Year 2000. It was really obvious that Brooks cherished his awards. In an interview, he said that his crowning moment was completing the EGOT. It was enough for him and he no longer needs to win more awards. One of the most prolific artists in Hollywood, Whoopi Goldberg definitely deserves all the awards she has received. It was also significant in a sense that she is the only woman of color to have won an EGOT so far. Her first award was in 1985 for Grammys Best Comedy Recording for Whoopi Goldberg- Original Broadway Show. It was followed by her stunning victory as Best Supporting Actress in the Oscars for Ghost in 1990. It was a huge upset considering the other nominees, but it was still a remarkable moment nonetheless. She completed the 4 awards in 2002 after winning both an Emmy and a Tony. She won as a producer for Thoroughly Modern Millie, winning a Tony Best Musical award. She also won an Emmy for hosting Beyond Tara: The Extraordinary Life of Hattie McDaniel, albeit a Daytime Emmy. The latest addition to the list of EGOT winners and the youngest one at that is Robert Lopez, who was only 39 when he won an Oscars for Best Original Song, Frozen of the blockbuster hit, Let It Go. He also earned the honor of being the fastest artist to have won all 4 awards. He started in 2004 where he won a Tony for Best Score for Avenue Q. It was followed by 2 Daytime Emmys for Outstanding Achievement in Music Direction and Composition for Wonder Pets, in 2008 and 2010. In 2012, he won a Grammy for The Book of Mormon, which he shared with another winner. Considering how difficult it is to win at least one of these awards, grabbing all 4 is indeed a great feat. These artists definitely deserve recognition.